Administrative staff who have played a key role in the success of one of the UK’s most dynamic law firms have found themselves in the running for glory. 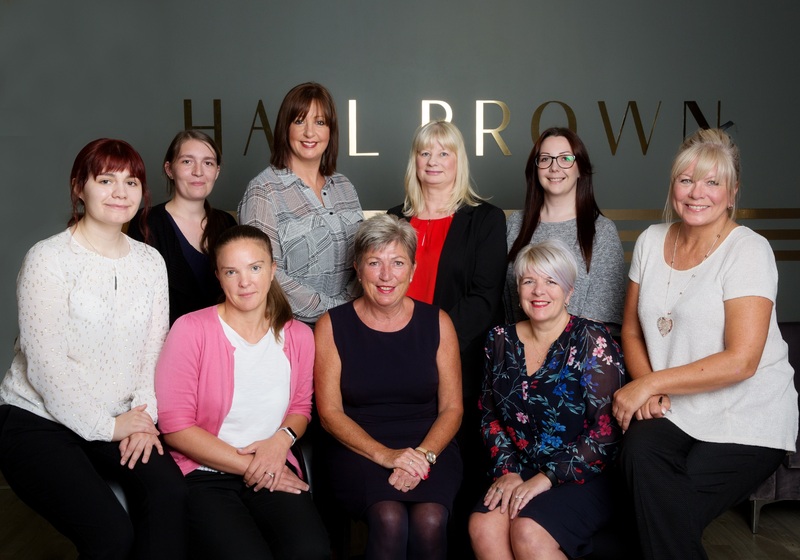 Employees at Hall Brown Family Law have been nominated in a total of five categories at two of the most prestigious awards ceremonies for the North West’s leading support personnel. Judges in the North West PA of the Year Awards have named Eve Butters on the shortlist in the Legal PA of the Year category, while there’s collective recognition with a nomination for PA Team of the Year. Meanwhile, Office Manager, Joanne Wilson, is one of three individuals in with a shout of the title of Manager of Year at the same event. Mrs Wilson has also been shortlisted in two categories (Best Event Organised by a Support Professional and Leader of the Year) at the Manchester PA Awards. If she triumphs, it would cap a remarkable 12 months for one of the city’s most popular and experienced PAs. In November last year, she scooped the prize of Line Manager of the Year in the Manchester PA Awards. Hall Brown’s Senior Partner, Sam Hall, paid tribute to all those nominated, describing them as “an essential ingredient” in progress made over the firm’s first two years in business. “We believe that we’ve been incredibly fortunate in gathering together a team of lawyers and support staff capable of driving us forward. “Whilst lawyers are always the most public faces in a law firm such as ours, we all acknowledge and appreciate the invaluable role played by Jo and her colleagues. Mrs Wilson, a self-taught secretary, has worked with many of Manchester’s leading law firms over the course of her 30-year career and was one of Hall Brown’s first appointments. Since opening its doors in April 2016, the firm’s employee roster has grown to comprise 28 staff, 19 of whom are fee earners. Mrs Wilson has responsibility for a nine-strong team of support staff, made up of secretaries, accounts, archiving/office administrative personnel.